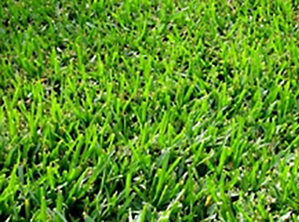 Sod – Tri-Turf Sod Farms, Inc.
Diseases, pests and excessive traffic wreak havoc on turf grass. With Barenbrug’s Barvette HGT™ bluegrass, you’ll find no better friend against those challenges. 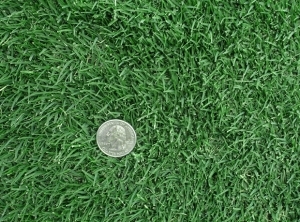 HGT stands for Healthy Grass Technology, a tough and disease resistant Kentucky bluegrass. We developed HGT in harsh climatic conditions, specifically to withstand diseases, pests and traffic. 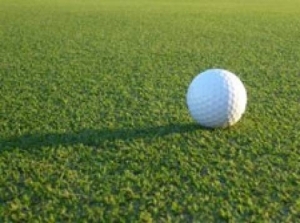 Extensive testing in various climates and conditions has proven HGT a winner. No other Kentucky bluegrass has been found to outperform HGT. Characteristics: Warm-season grass–fine to medium leaf texture, dark green, dense and low growing via rhizomes and stolons–some varieties tolerate very low maintenance while others produce lawns of exceptional beauty when given extra care–root system is extensive and very deep. Recommended Usage: Best adapted to hot, dry climates–recommended for residential and commercial landscapes, golf courses, sport fields, parks and recreation areas; ideal for homes with children and pets. Temperature Tolerance: Excellent heat tolerance up to 110’F–performs best during periods of heat; has a winter dormancy period, turns tan brown at below 55’F. Drought Tolerance: Superior–highly drought resistant, but also responds to irrigation in dry periods: can go into dormancy when irrigation is withheld; upon return of moisture supply, will green up again. Shade Adaptation: Poor–requires full sun for most of the day to grow properly. Wear Resistance: Excellent–withstands wear better than most grasses–tolerates heavy traffic and, when injured, recovers more rapidly than any other grasses. Latitude 36 is an extremely versatile Bermudagrass, suitable for Sports, Golf, Commercial and Residential applications.With fine grass blades and exceptional wear tolerance with strong wear recovery, this turfgrass has been shown to also demonstrate exceptional cold tolerance and relatively early spring green-up among Bermudagrasses. Latitude 36 possesses very good drought resistance and maintains its color until the first hard frost and, making it an excellent choice for the southern U.S. states. Latitude 36 can be installed and grown in shady landscapes such as the high filtered shade of pine trees; however, Latitude 36 does need at least 3-4 hours of daily sunlight for optimum performance. If your landscape has less than 3-4 hours of daily sunlight, your may experience a decline in the overall quality of your turfgrass. 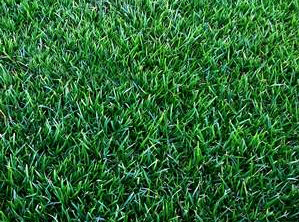 Warm-season grass–leaf texture fine-medium–color from light-medium green; forms a dense low-maintenance lawn; spreads by stolons and rhizomes (shoot rate is slow). Easy to maintain. In humid and tropical climates–can withstand very heavy usage–recommended for residential and commercial lawns. –subject to enter dormancy at temperatures below 55’F. Moderate to good–remains green and resists short periods of drought–takes heat well. Can go into summer dormancy when irrigation is withheld; upon return of moisture, will green up again. Good–slow growing in partial shade (better than Bermuda). Superior–exceptionally hardy; has the best wear resistance of any grass–tolerates heavy traffic, but slow to recover from heavy thinning. Characteristics: Cool season grass–medium to dark green color, moderate density–more extensive root system than any other cool-season turfgrass. Texture ranges from coarse to medium. A bunch-type grass. Recommended Usage: Very good transitional zone grass–adapted to moderately cold winters and warm summers. Good tough play lawn–recommended for a wide variety of uses, including residential and commercial landscapes, roadside, parks, recreation areas, and sports fields. Temperature Tolerance: Good heat tolerance for a cool season grass–grows in a wide range of temperatures in the transitional climatic zone between cool and warm climates. Drought Tolerance: Good–one of the better cool-season turfgrasses, fairly deep root system helps avoid drought. Can go into summer dormancy, with brown leaves, when irrigation is withheld; upon return of moisture supply, will green up again. Some varieties have better tolerance to heat and drought. Shade Adaptation: Good in transitional zone–does well in sun or shade. Wear Resistance: Good–suitable for moderate recreation and foot traffic, areas exhibiting good initial wear recovery, especially in spring and fall when growth is rapid.